TIGERLIM.COM: Now I know What is Bulk Sale!!!! Remember few days ago I post this Bulk Sale??? And I wondering what is it's all about right??? This afternoon I went there with my friends and take a look! Now I know what is it mean sudah. Their Bulk Sale was sell car as the price you see. If it is 15 thousand that's mean sell for $15.000.00 not more like last time one who pay higher who got the car! You know how much the TOYOTA SOLUNA sell for? It only sell for $500.00 only........ Yes!!!! is $500.00 only! 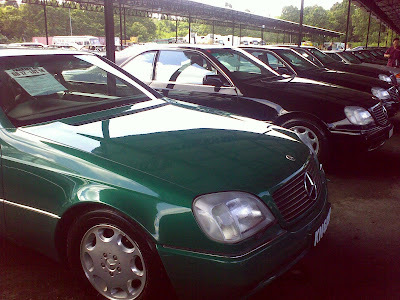 the cheapest car sell there is $200.00 nya! I'm not kidding! 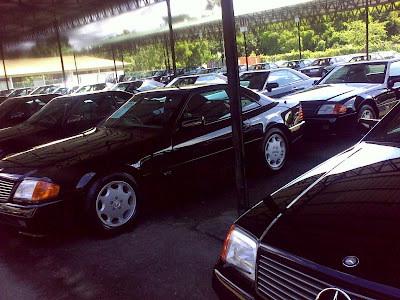 Mercedes Benz S600 only $32.000.00, Porsche 928 s4 only $6.000. Porsche 911 turbo $12.000. 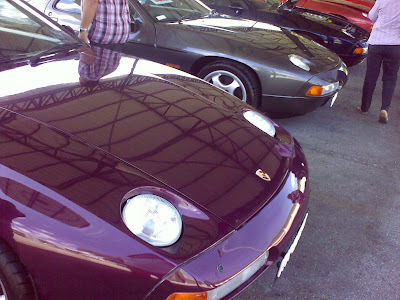 BMW 850 $7.000.00, BMW 540 only $4.000.00. 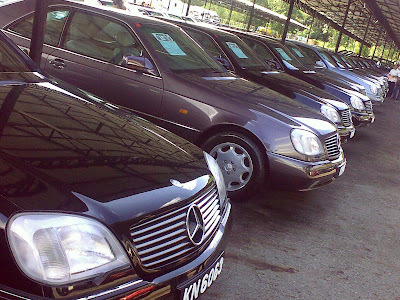 There is tons of Mercedes and Porsche for sale this time! 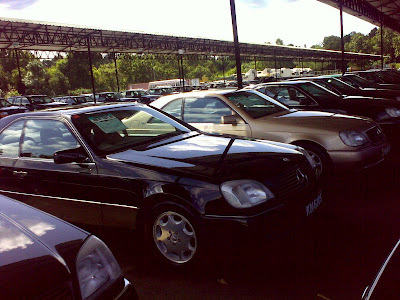 Most of the car there mileage mostly less then 1000 km one, can buy la but don't know still need to repair one or not la!!! !BUT BUT BUT!!!!!! You have to buy 5 unit one the same time!!! YA YA YA!!!! I know you people sure say " Lima Kali Sepuluh" one right! But your really want to get the car so just wait another 4 person who want to buy too la!!!! So five person group up buy car also can like that!!!! BUT BUT BUT!!! 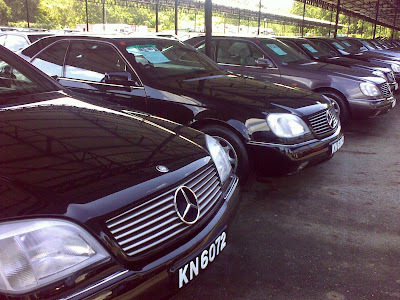 what if a person who want to buy the same car like you want how???? hahahah die la like that! Anyway FYI the car there almost 95% are sold! so if you want to buy it!!! hehehe wait for next time again la!!!! But go there see see look look aslo can la! Just cuci you mata lo!